An area map is available as a PDF file which you can download and print out. This section outlines which facilities offer ramps and restrooms accessible by wheelchair. at least 80 cm or wider. Wheelchairs are available to borrow, so please contact the nearest staff member. These are fundamentally intended for use indoors. If you require a wheelchair for outdoor use, please contact the Mount Koya Taishi Kyokai at 0736-56-2015. Mount Koya has dedicated guides who have passed tests run by Konbobuji. They are available to help you learn more about Mount Koya’s history and further enjoy your visit. 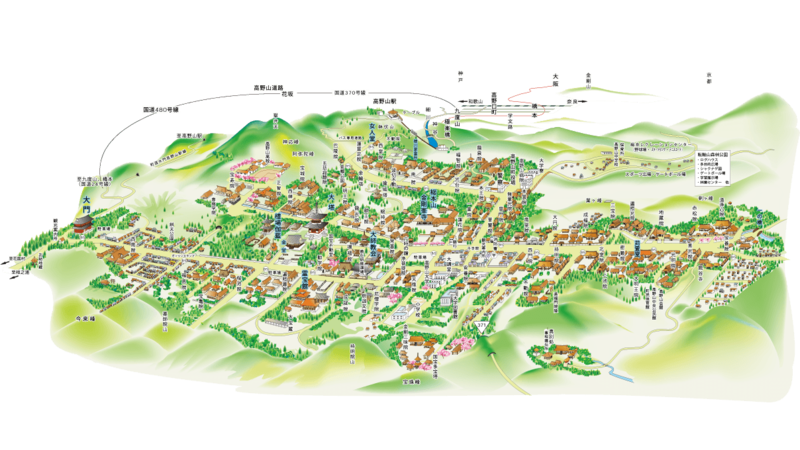 Get more out of your Mount Koya experience by learning in detail and experiencing their thorough service. We are standing by. To register for a tour, notify the Koyasan Tourism Association in advance with your name, address, number of people in your party, planned visit date, and contact telephone number. We will contact you to confirm. For further details, please communicate directly with the tour guide you are put in contact with. If you will be late to your scheduled tour due to traffic congestion or other reasons, or if you are forced to cancel, please contact your designated tour guide. In the event of same-day cancellations, you will be charged half the price of the tour price. Costs associated with your visit（entrance fees、travel expenses）are your responsibility. 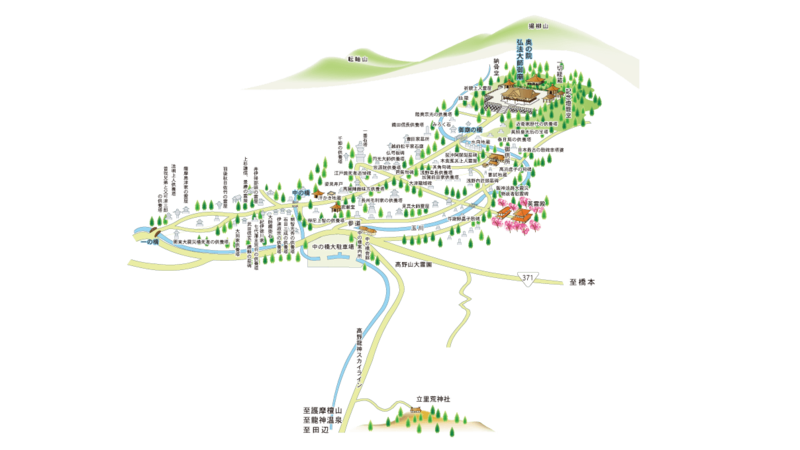 The tour price does not include entrance fees to Mount Koya buildings. 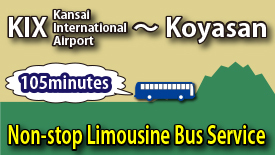 The Koyasan Tourism Association is not responsible for any accidents sustained during your tour (including in transit). For further details on registering for a tour, please visit the Koyasan Tourism Association website(opens in a separate window).